Esther was born a princess, being the daughter of the price of Albion. She wasn't aware of this, though, since at birth she was sent away to live elsewhere as a means of protecting her. Her parents died shortly after she was sent away, and she grew up in a church with another nun being the only mother she ever knew. All while growing up she had only been told that Vampires had killed her parents, and this brought about a great hatred within her towards them. 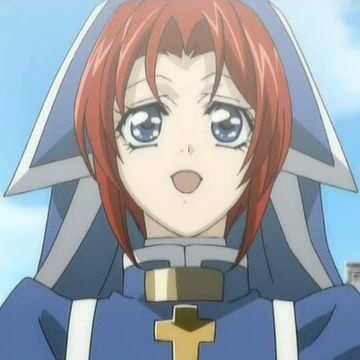 One day, a priest from the Vatican came to visit and help with some problems with vampires they had recently been having. He did help out greatly, but by the end of all the events, her only home, the church, was burnt down to the ground, and her 'motherly figure' had been killed. Not knowing what to do, Esther leaves with Abel Nightroad to go to Rome and sort things out. Her life changes dramatically after taking this simple action... Esther eventually becomes Abel's own assistant, and learns that not all methuselah are worth hating. She also eventually finds out her true identity as Queen of Albion and becomes their "Star of Hope" in their time of need. Virgil Walsh is the one that tells her (in Episode 23 - The Crown Of Thorns I: City In The Mist ). Episode 23 is also how we learn that she is 15 years old, as Virgil Walsh tells her that the Crown Prince Gilbert was assassinated 15 years ago and his newborn was sent overseas (play clip). However, the manga and the novel Reborn on Mars lists Esther as seventeen. In the novel, Dietrich claims that, at twenty years of age, he's three years older than Esther. 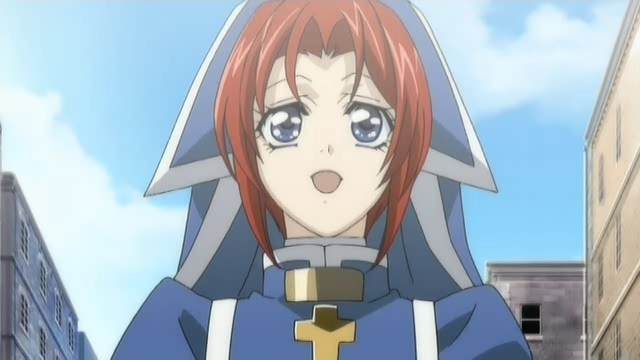 Oddly enough, the Official Trinity Blood Website from FUNimation also gives her age as 17 years old. So either they're wrong, or Virgil Walsh was mistaken about how many years had passed. The above description came from Donut Kitty, and was edited by yours truly (contact me).